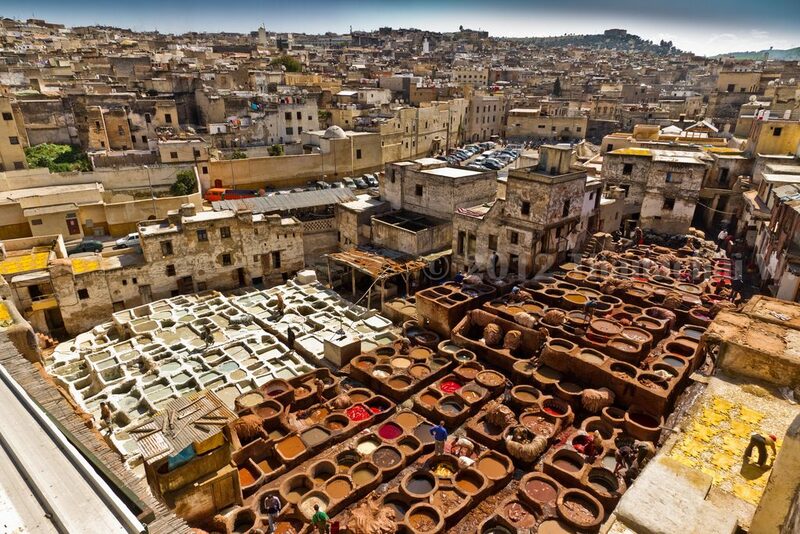 day trips from fez or Fès , by the way Fez is the third largest city of Morocco after Casablanca and Rabat. From 1170 and 1180, Fès is believed to be the largest city in the world. It is located at the foothills of Atlas Mountains in a beautiful valley and surrounded by magnificent mountains. Fès is one of the four imperial cities and is also considered as the sacred and holiest city after Mecca and Medina by Muslims. 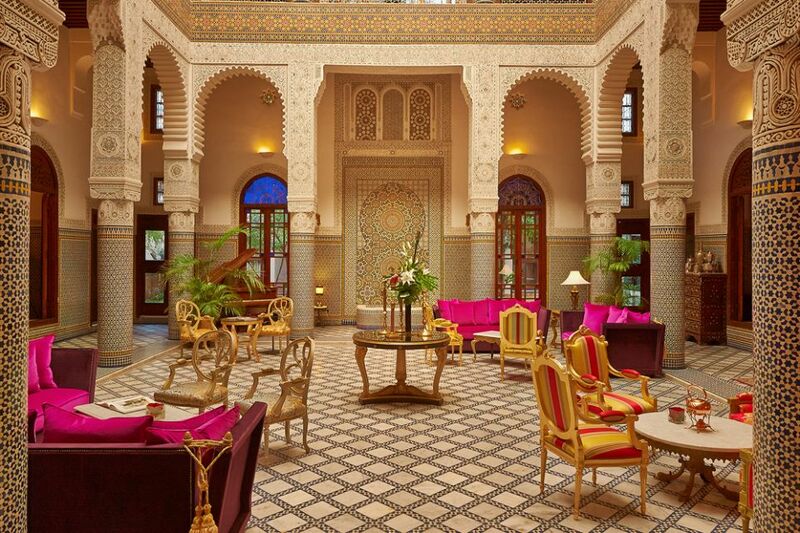 Marrakesh, Meknes and Rabat are the other three famous imperial cities of Morocco. by day trips from fez you can discover that Fès is divided into three districts: The city is divided into three districts namely Fès el-Bali or Old Fès, Fès el-Jdid or New Fès, and the modern French built Ville Nouvelle. Fès el-Bali is classified as a UNESCO World Heritage Site. This district is also believed to be the largest car-free urban area in the world. The University of Al-Karaouine, one of the world’s oldest continuous operating universities founded in 859 AD is located in Fès. Visitors during Fez Morocco Journey must not miss the chance of visiting this historically, architecturally and culturally rich city. Visitors on Morocco tours can find many fascinations in the markets of this Moroccan city and can spend hours wandering and exploring. The friendly people, excellent food and interesting sites make this place a must visit. The city is famous for a variety of dried fruits, leather goods, ceramics and textiles. The World Sacred Music Festival: This festival is held in Fès every year and it lasts for a week. Artists from all over the world come here to demonstrate the sacred musical traditions of the countries they represent. The concept of this music Festival was founded in 1994 by Faouzi Skali, a Moroccan scholar and philanthropist. Other than that, numerous madrasas or religious schools and mosques etc can also be visited during Fez Morocco Journey to this wonderful city. The sacred monuments at the city, other than their historical and religious significance are also known for their wonderful architecture. Fès is divided into three districts: The city is divided into three districts namely Fès el-Bali or Old Fès, Fès el-Jdid or New Fès, and the modern French built Ville Nouvelle. Fès el-Bali is classified as a UNESCO World Heritage Site. This district is also believed to be the largest car-free urban area in the world. The University of Al-Karaouine, one of the world’s oldest continuous operating universities founded in 859 AD is located in Fès. Visitors during Fez Morocco Journey must not miss the chance of visiting this historically by , architecturally and culturally rich city. Visitors on Morocco tours can find many fascinations in the markets of this Moroccan city, day trips from fez can spend hours wandering and exploring. The friendly people, excellent food and interesting sites make this place a must visit. The city is famous for a variety of dried fruits, leather goods, ceramics and textiles.